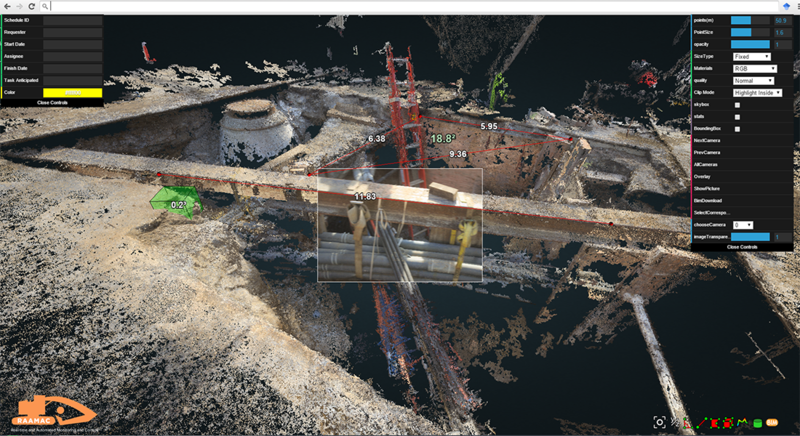 Chicago-based consortium City Digital is working on a project to map the subterranean infrastructure of the Windy City. Their underground infrastructure mapping (UIM) platform will “generate, organize, visualize, and store 3D underground infrastructure data,” such as the location and depth of gas lines, water pipes, and fiber optic, and is expected to save the city “millions of dollars in construction and planning processes,” according to a press release by UI Labs, a partner in the project. Though still in its testing phase, the platform will work alongside existing construction and development as engineers and city workers open holes in streets and sidewalks. They simply take a snapshot of the pipes and wires that are revealed underneath the pavement surface, which is then scanned into the mapping platform to extract information such as depth, height, and width of the pipes or cables. Afterward, the data will be layered onto a map of Chicago’s streets, and with continued use, the platform will be able to extrapolate the layout of other untapped areas with increasing accuracy, according to CityLab. City Digital’s project isn’t the only smart city initiative underway in Chicago. The Array of Things is seeking to install approximately 500 sensing devices across the city that will collect data on temperature, light, ambient noise, pedestrian and vehicle traffic, among other factors, and will eventually be able to provide insights around urban flooding, precipitation, and pollutants. The project explicitly states their interest in “monitoring the city’s environment and activity, not individuals,” arguing that the “privacy protection is built into the design of the sensors and into the operating policies.” Array of Things is spearheaded by the Urban Center for Computation and Data, a research initiative of the Computation Institute of the University of Chicago and Argonne National Laboratory. In implementing these new projects, Chicago seeks to join the ranks of the world’s leading smart cities, such as Barcelona, Singapore, and London, which have made significant increases in efficiency by embracing new technologies. Still, the developments have raised concern about privacy, and whether the projects will serve to make real improvements in urban life, or to simply make big tech vendors even richer, according to The Chicago Tribune.